Flipboard is a fast, beautiful way to flip through the news, photos and updates your friends are sharing on Facebook, Twitter, Google Reader, Flickr and Instagram. See your social media in a magazine layout that is easy to scan and fun to read. Share articles and photos, comment on posts, and like or favorite anything. Customize your Flipboard with sections created from your favorite news, people, blogs and topics. My feed is mostly full of amazing crafty bloggers and their beautifully inspiring pictures, patterns and tutorials so it looks AMAZING! Flipping the pages like a book, being able to click on the links and comment from within the 'magazine' - it all makes for a really great experience. My Twitter and Facebook feeds also look fantastic- it's so easy to see the original links and pictures - much nicer than using the dedicated Twitter/Facebook websites/apps. This is usually the last thing I look at before I go to sleep... actually, it's little wonder I often lay awake thinking of things I'd like to make and do!!! While browsing for kids' clothing patterns last weekend I stumbled upon Pinterest. "Think of Pinterest as a virtual pinboard — a place where you can create collections of things you love and "follow" collections created by people with great taste." I think this could be THE new time-sucker-upper. I could happily browse it for hours (sadly, I have yet to have the opportunity to do so). 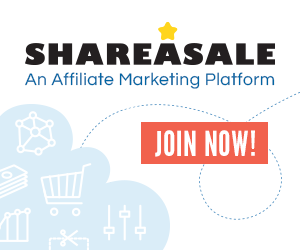 If you haven't already discovered it, I'd recommend giving it a try (don't be disheartened if it takes a while to get your invitation to join - I waited several days and until then could just browse). I've downloaded the free iPhone App now too, and think Pinterest will become a key tool in finding/ bookmarking/ sharing lovely things online. If you follow people who are active 'pinners' and have a similar taste/style, it's a superb way of finding new things you might like. 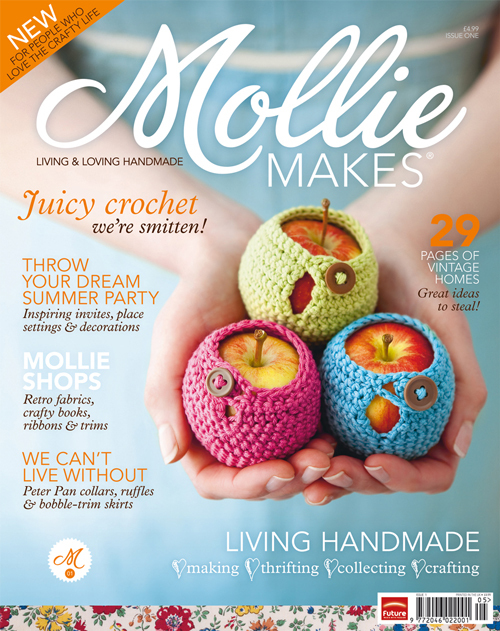 Finally, when reading the Dottie Angel blog last weekend, I found out about a brand new magazine launch - "Mollie Makes", whose tagline is "Living & Loving Handmade". The website made me interested enough to subscribe to the first few issues and today I got my hands on a copy (I decided against the digi-version so I could use the patterns straight from the mag.) Based on this first issue ....... I LOVE IT! 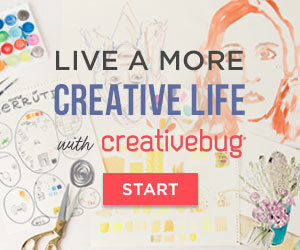 I have to admit, it's rather like a magazine version of my Flipboard and Pinterest in one! 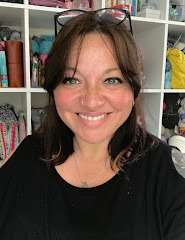 There are several patterns and tutorials, an interview (with Tif Fussell from Dottie Angel), beautiful fabrics, retro fashions and vintage homes, thrifted pieces, book reviews and lots and lots of inspiration. I rarely buy craft magazines simply because they don't generally appeal to my sense of style. 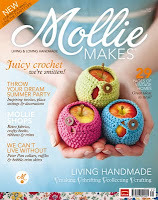 This isn't strictly a sewing/crochet/craft magazine despite the patterns, it's more a lifestyle magazine for people who like handmade and vintage. On every double-page spread I found myself saying "oooh, I could do that" or some variation thereof. It seems to be pretty tough to establish a new magazine brand and from what I've seen so far I really hope this one succeeds. I can't help but feel it's tapped into the home-made / thrifted trend at the perfect time (economically as well as the current 'fashion' for vintage). If the content of subsequent issues is as good, then it's looking promising for them. I've been resisting getting this magazine but I may just have to give in and subscribe!